Kansas City, Mo. — The Missouri Southern Department of Athletics has finished fourth in the inaugural MIAA Commissioner’s Cup standings, the league announced today. The MIAA Commissioner’s Cup standings are based on points earned for the regular season of the 20 sports recognized by the MIAA. The points awarded for each sport are based on the number of the MIAA institutions that participate in that sport. Each institution’s points are totaled and divided by the number of MIAA sports it sponsors, giving an overall finish for the school. 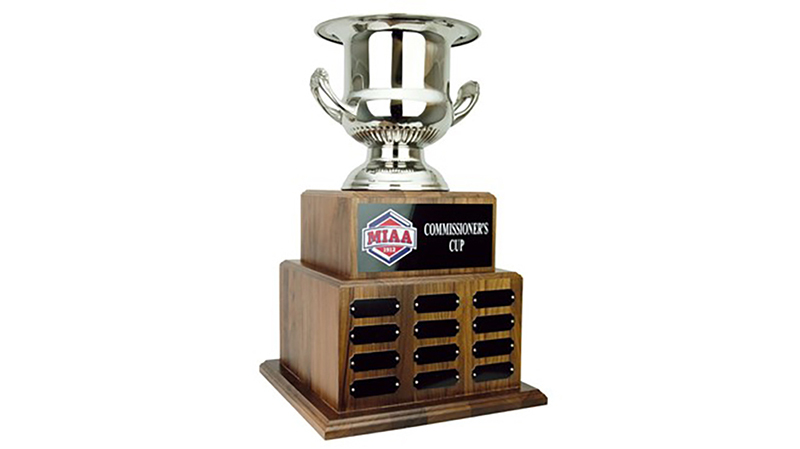 The MIAA had an All-Sports Trophy at one time, but this is the first year of the Commissioner’s Cup that will be awarded to the top athletic program in the MIAA each year. Central Missouri won this year’s cup and was closely followed by Pittsburg State. Central Oklahoma was third, followed by the Lions, and Northwest Missouri to round out the top five. Fort Hays was sixth, followed by Emporia State, Missouri Western, Northeastern State, Lindenwood, Nebraska-Kearney, Southwest Baptist, Washburn and Lincoln to round out the standings.